NAREDCO HARYANA.COM and/or any other website(s) linked to this website is an online information and communications service provided to you, subject to your compliance with the terms and conditions set forth below. PLEASE READ THIS DOCUMENT CAREFULLY BY ACCESSING OR USING NAREDCO HARYANA SERVICES, YOU AGREE TO BE BOUND BY THE TERMS AND CONDITIONS SET FORTH BELOW. IF YOU DO NOT AGREE WITH ANY OF THESE TERMS AND CONDITIONS, YOU SHOULD NOT ACCESS OR USE THIS WEBSITE. IF YOU HAVE ANY QUESTIONS & SUGGESTION ABOUT THESE TERMS, PLEASE DO SO BY EMAILING US. NAREDCO HARYANA may amend/modify these Terms and Conditions at any time, and such modifications shall be effective immediately upon posting of the modified Terms and Conditions on NAREDCO Haryana.com. You may review the modified Terms and Conditions periodically to be aware of such modifications and your continued access or use of NAREDCO HARYANA.COM, shall be deemed conclusive proof of your acceptance of these Terms and Conditions, as amended/modified from time to time. I understand and accept that NAREDCO HARYANA maintains the web-site to provide visitors with information about NAREDCO HARYANA, its services to facilitate communication with NAREDCO HARYANA and availing its services. I also accept that visitors to the web-site are required to read the below terms, and use of the web-site constitutes my acceptance and agreement to be bound by such terms, and the changes therein to the Website Usage Terms from time to time, relating to my usage of the website as communicated and made available on the NAREDCO HARYANA website. 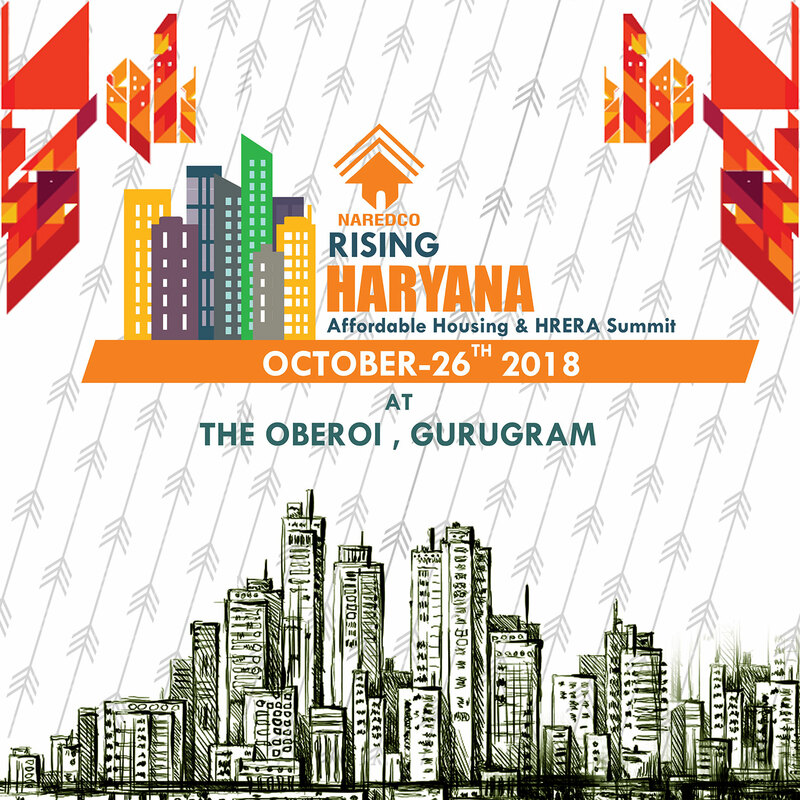 I am aware and accept that all information, content, materials, products (including, but not limited to text, content, photographs, graphics, video and audio content) on the website is protected by copyright in the favour of NAREDCO HARYANA under applicable copyright laws and is also protected otherwise under general intellectual property law. I understand and accept that all information submitted by me through the NAREDCO HARYANA website shall be deemed the property of NAREDCO HARYANA, and the NAREDCO HARYANA is free to use any ideas, concepts, know-how or techniques provided by me at the web-site, in any manner whatsoever. On initiating a contact through the NAREDCO HARYANA website I agree to being contacted by the NAREDCO HARYANA. I agree that I shall not copy, reproduce, sell, redistribute, publish, enter into a database, display, perform, modify, transmit, license, create derivatives from, transfer or in any way exploit any part of any information, content, materials, services available from or through the NAREDCO HARYANA website, except that which I may download for my own personal, non-commercial use. I agree that I will not use the NAREDCO HARYANA website for any purpose that is unlawful, or prohibited by these Website Usage Terms. I also agree I will not use the NAREDCO HARYANA website in any manner that could damage, disable or impair the website or interfere with any other party's use or enjoyment of the website. I acknowledge that the software and hardware underlying the NAREDCO HARYANA Website and also other Internet related software which are required for accessing the website are the legal property of the respective Vendors/NAREDCO HARYANA. The permission given by the NAREDCO HARYANA to access the NAREDCO HARYANA website will not convey any proprietary or ownership rights in the above software / hardware. I agree that I shall not attempt to modify, translate, disassemble, decompile or reverse engineer the software / hardware underlying the NAREDCO HARYANA website or create any derivative product based on the software / hardware. I understand and accept that not all the services offered on this website are available to all and I may not be eligible for all the services offered by NAREDCO HARYANA on the web-site. NAREDCO HARYANA reserves the right to determine the availability and eligibility for any service. I am aware that NAREDCO HARYANA proposes to use "cookies" (Cookies are small data files that a website stores on my computer.) for storing visitor preferences, profiling visitors and tracking visitor behaviour on the NAREDCO HARYANA website. By visiting the website I acknowledge, accept and expressly authorize the NAREDCO HARYANA for the placement of cookies on my computer At many places in this website, where you will find links to other websites. These links have been placed for your convenience. NAREDCO HARYANA is not responsible for the contents and reliability of the linked websites and does not necessarily endorse the views expressed in them. Mere presence of the link or its listing on this website should not be assumed as endorsement of any kind. We cannot guarantee that these links will work all the time and we have no control over availability of linked pages. Though all efforts have been made to ensure the accuracy and currency of the content on this web-site, the same should not be construed as a statement of law or used for any legal purposes. NAREDCO HARYANA accepts no responsibility in relation to the accuracy, completeness, usefulness or otherwise, of the contents. Users are advised to verify/check any information with the relevant other source, and obtain any appropriate professional advice before acting on the information provided in the web-site. Changes to Our Terms of Services may change, and use of information that we gather now is subject to the Privacy Statement that is in effect as of the time of use. You are responsible for periodically checking our Privacy Statement.